On February 6th, H!P kids unit Buono! return with their 2nd single, “Renai♥RIDER” under the PONY CANYON label. The title track is the new ending theme song for the anime series “Shugo Chara!“. Buono! debuted with their first single in October of last year with “Honto no Jibun“, which peaked at #5 on the Oricon Weekly Single Ranking and have sold over 41,000 copies to date. The initial CD edition include a serial number card to participate in an event drawing and a Buono! original trading card. The limited CD+DVD edition includes a multi-angle footage of Buono!’s guest performance at a °C-ute concert last year. Buono! is set to release their first album two weeks later. Barely three months since their debut single, “Narihajimeta Koi no Bell“, Hello! Project unit Ongaku Gatas just released their second single “Yattarouze!” under the zetima label and it debuts at #6 on the Oricon Daily Single Ranking.The Single V will be released on the 19th of December. Single: Ongaku Gatas – Yattarouze! Japan’s biggest and most popular girl group franchise Hello! Project just celebrated their 10th anniversary with a huge live concert over the Summer. 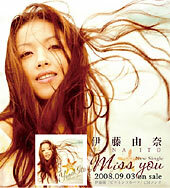 Now you’ll be able to relive all the excitement again with the release of a 2-disc concert DVD, “Hello! Project 2007 Summer 10th Anniversary Dai Kansha Sai – Hello☆Project Natsu Matsuri,” with special performances at Nagoya International Conference Center (Century Hall) on July 15th and Saitama Super Arena on July 29th. Enjoy over 2-hours of dazzling performances from your favorite H!P groups including Morning Musume, ºC-ute, Berryz Koubou, Melon Kinenbi, Viyuden, Ongaku Gatas, Hello Pro Egg and more. The “Hello! Project 2007 Summer 10th Anniversary Dai Kansha Sai – Hello Pro Natsu Matsuri” DVD is set to release on October 17th.